How was your Easter? We had a busy, but relaxing four days and are looking forward to another four-day long weekend next week (Thursday May 1st is ‘May Day’ and Michael also took Friday off)! 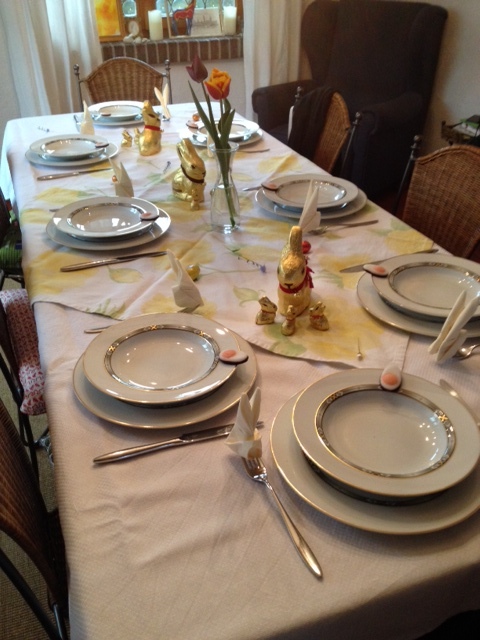 Prepping the table for Easter lunch…bunnies galore! It kicked off on Thursday evening, as we drove to the countryside to stay over at a friend’s house and then have a fish lunch the next day. 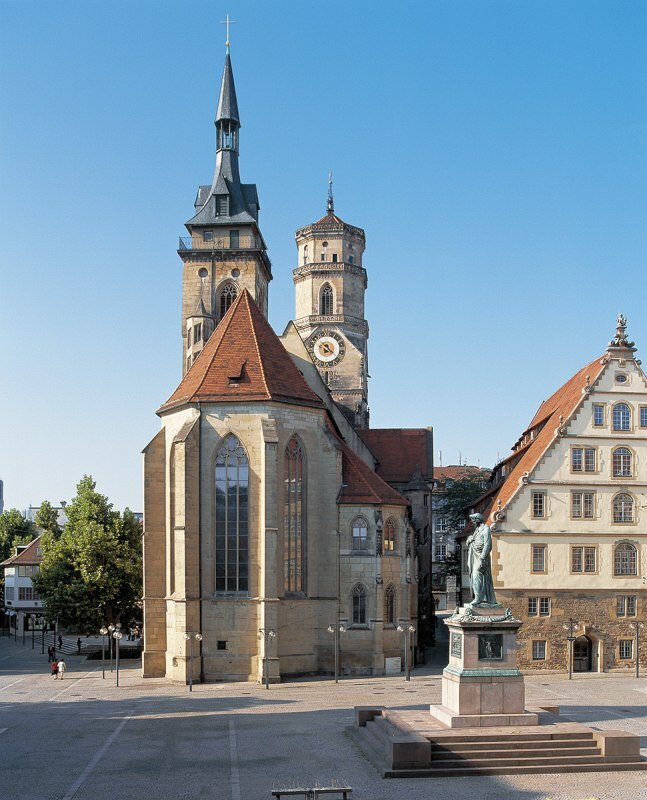 Good Friday, or as it is called in Germany, Karfreitag, is a day that is respected in many ways that involve a whole bunch of rules. Of course, we’re in Germany! Bodelshofen. This is where a very good friend of ours lives now. 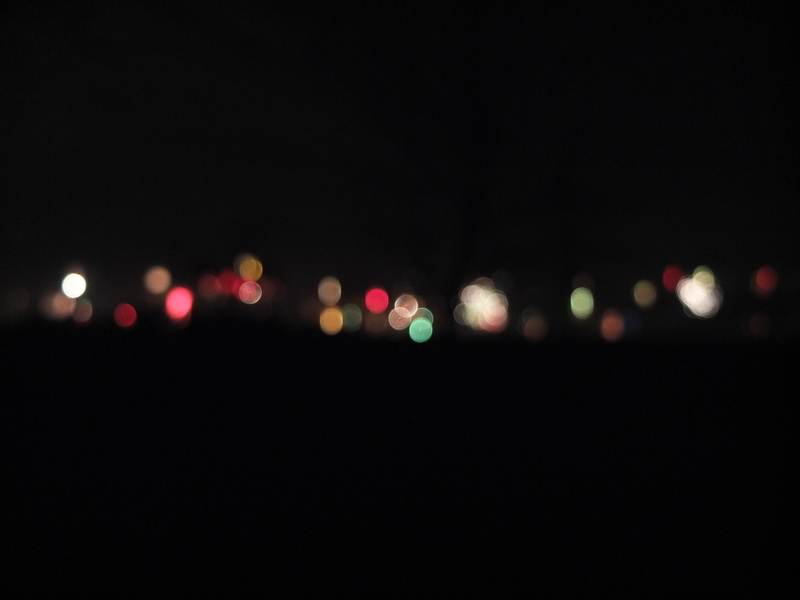 It’s a good 40 minute drive from where we live in Stuttgart and the place that we gave up the Stuttgart fireworks for. It was well worth it, too. 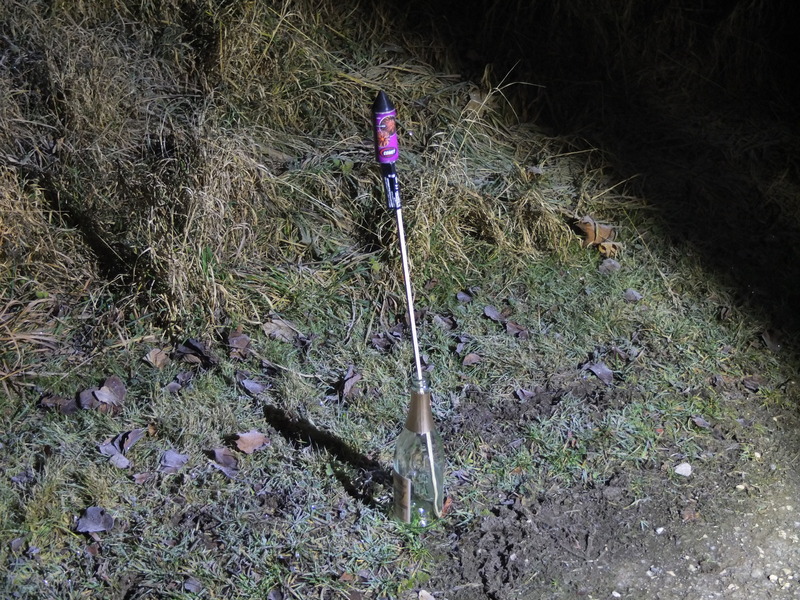 On the one hand, I love that in a super strict country it is totally legal to buy (approved) fireworks, but on the other hand it can be a little scary when say, the remnants of a small rocket land at your feet as you are walking home. But other than that, it’s plenty of fun! 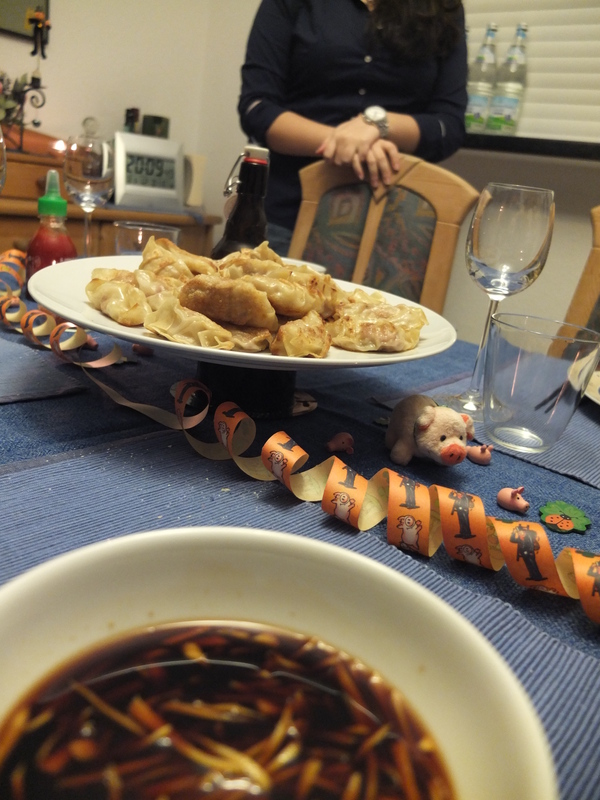 For dinner we had some home-made dumplings because…well, because they’re delicious and one of our friends hadn’t tried them before. 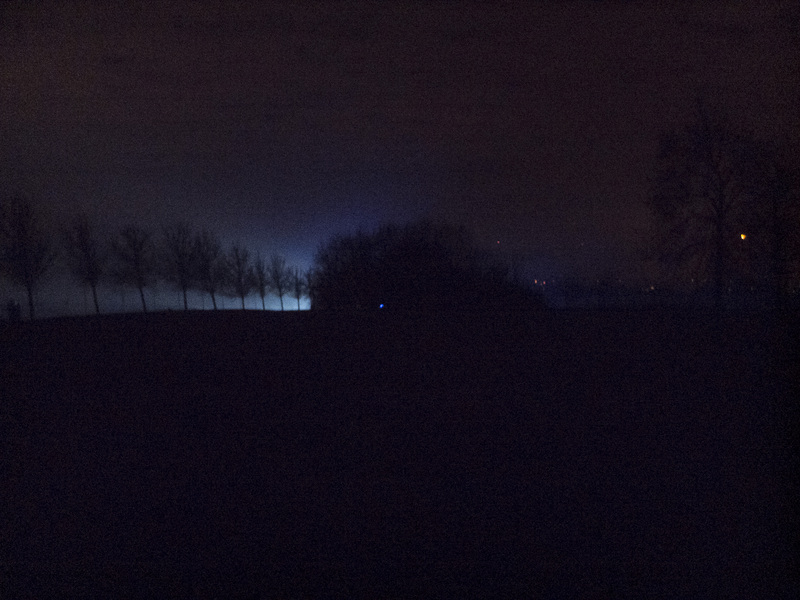 About half an hour before midnight we walked up to a nearby golf course, up to a hill and set up for the show. Of course, being Australian I have never encountered this many personal fireworks in my life but the rest seemed to know what each firework could do. The rockets basically shot up into the air and had different effects, some glittered, some were red, others blue, and the others green. Some smaller ones you just lit up while holding them and then you threw them away from you. There was also a nice little one that you placed on the ground and lit up and it would spin around and make a nice pattern, and others that spun in the air like a UFO. Next time I’m definitely getting something I’ve seen before but is totally awesome. It’s a box full of fireworks and you just light it up and there are 50 or more fireworks that just keep shooting out one after the other. Less work, more reward. Walking home, it was still dark but it was nice to be accompanied by little bursts of light here and there. 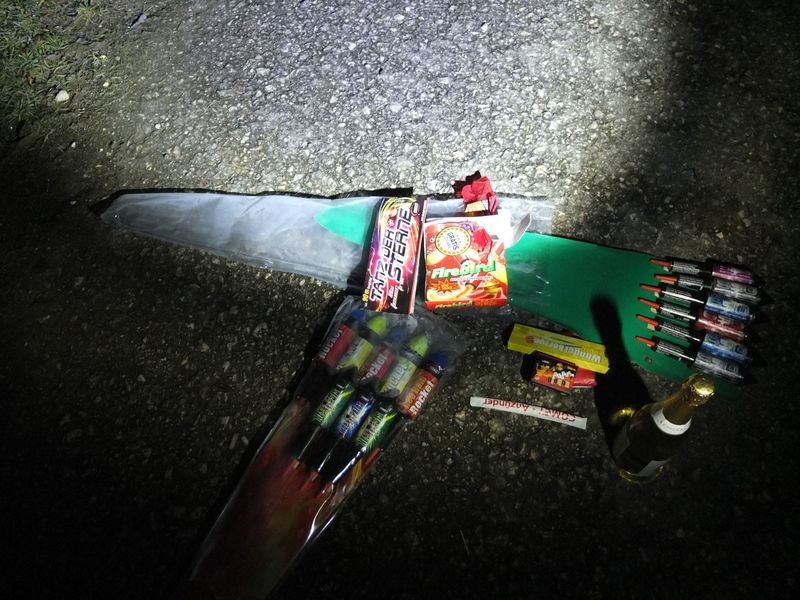 If ever I could recommend you something, especially any Aussies out there (or anyone who has never launched their own (legal) fireworks…try it out in Europe! If possible, spend New Years here. It’s definitely an experience. Yep, another year (almost) over and we’ve done, seen and learned lots. We’ve been blogging collectively for just over a year now (zomg nobody posted about our one year anniversary on Nov 10th! Anyway, to cover that here’s my insight into that topic: cool!) and so much has been going on with our travels and experiences as well as cars, movies, games and food! Speaking of food, I mentioned that we were having a Christmas dinner on the 24th (the 24th is regarded the official first day of Christmas here and presents are unwrapped on the evening of the 24th). 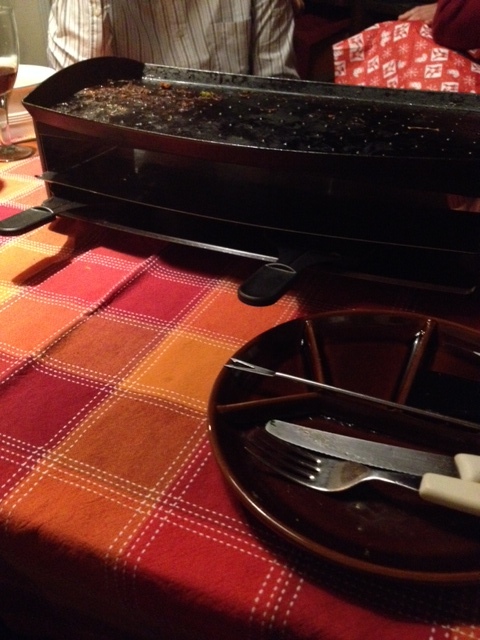 I love Christmas dinner in Germany because at least in this family it means one thing: Raclette. Think meat, onions, vegetables, anything covered in smouldering cheese. Delish! Basically it’s like teppenyaki/grill on the top and underneath you fill up a little paddle with goodness and put thick slices of Raclette cheese on top of it and leave it there until it’s nice and gooey and perhaps a bit crispy on top. 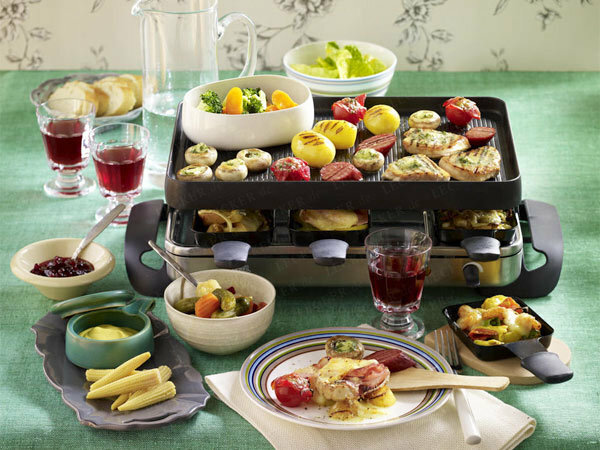 In the meantime, you don’t have to wait unfulfilled because you can grill and eat meats and vegetables on top. It keeps you busy and satisfied. 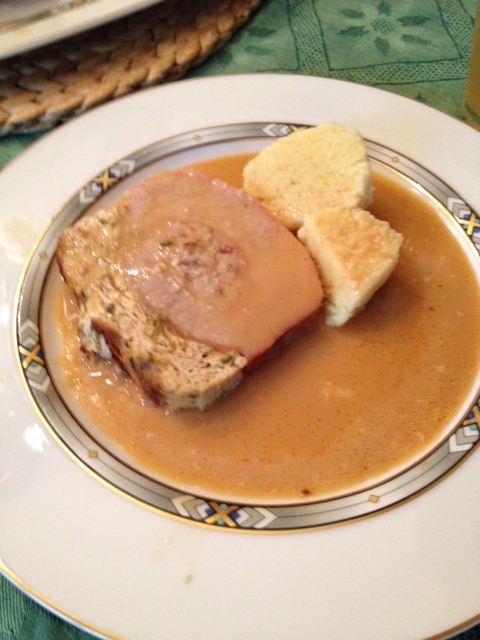 The next day we visited a friend of ours and she had prepared a nice roast with what can be described as potato dumplings (Kartoffelknödel) only without any filling and plenty of sauce…just the way the Swabians (southern Germans) like it! 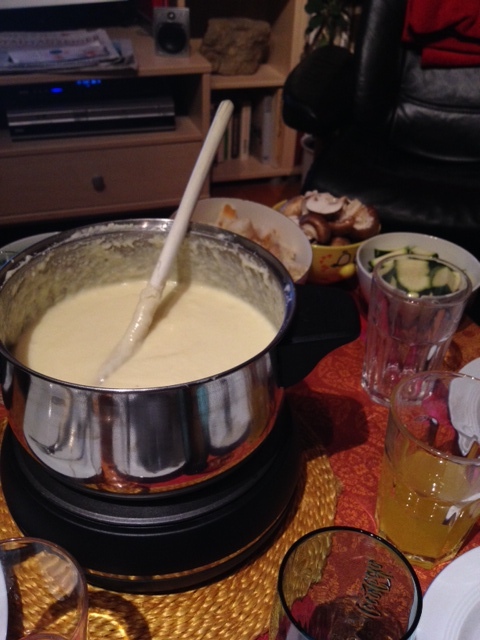 And just to round out the post with some more food, we had cheese fondue recently and dipped mushrooms, zucchini, broccoli and baguette pieces into it. Not a bad idea! My summation: Germans love their cheese especially around Christmastime! Then again, it’s pretty darn good. Here’s to 2014 and all the new travels, experiences, cars, movies, games and food it will bring! I will be setting off fireworks I bought here so I’m looking forward to that. See you next year, y’all!